Strolling along the pathways of this walled garden is both relaxing and educational. Plants are arranged in raised squares, according to their uses. Slate is used for mulching, for decoration and for supporting plants. Each species is carefully identified with both their Latin and French names. This garden is unique, the only one of its kind in the city. Surface area: 1 700 m2. Many long forgotten plants set out according to their uses: cereals, edible, medicinal, dyes, aromatic and decorative, etc. Access via place Bérardier and rue Commandant Avril. Open every day from 9am. Closing times are variable, depending on the season. Protected by the ramparts of the ancient fortified town, the Jardin de la Retraite has an original design that is laid out as a suite of three themed gardens linked by communicating steps or doors. A 150 year old chestnut tree and numerous tropical plants. Access via rue Élie Fréron and rue des Douves. The Jardin de la Paix overlooks the Jardin de la Retraite. Its Mediterranean style creates a completely different universe. Olive trees and Aleppo pines invoke the symbolic character of this garden, which is dedicated to peace. 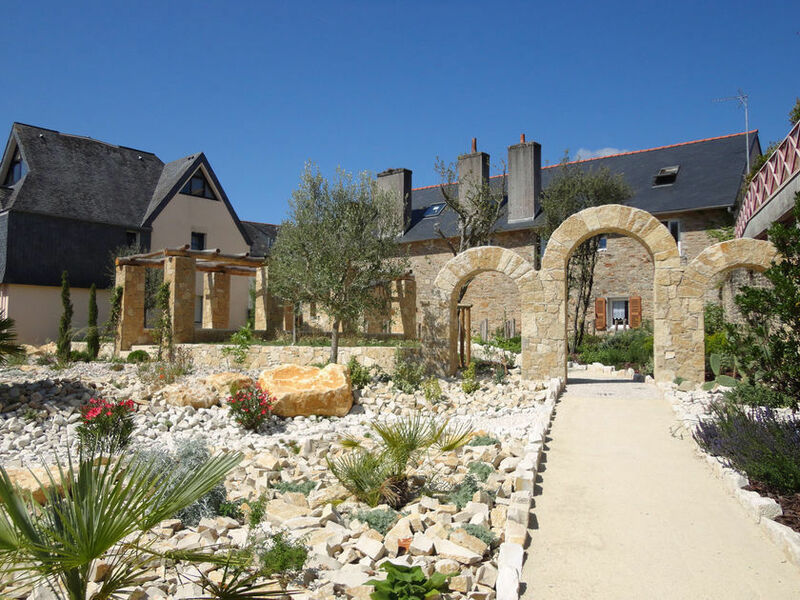 The garden is very recent: work began in 2009 with the construction of a wall and the creation of a granite staircase, followed by landscaped terraces, arches, gullies, rockeries and a vineyard… In 2013 the planting was finished and the peace garden opened to the public. 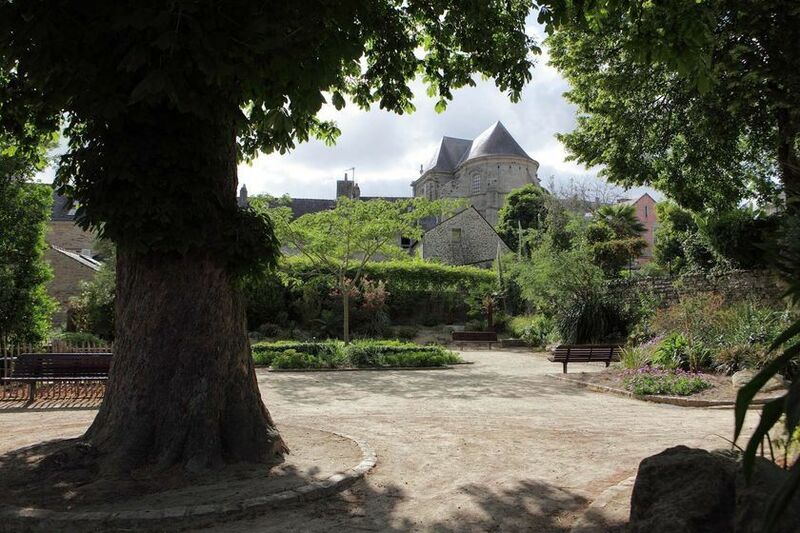 One can stroll along the pathways and cypress avenues, stopping under the eight pillar pergola to admire the exceptional panorama of the historic heart of Quimper with a rare view of the cathedral spires. This area originally belonged to the canons of the cathedral. During the 17th century it was occupied by the « dames de la retraite » (a religious order). The adjoining land and buildings were bought by the city in 1977. The garden was opened to the public in 1979 while municipal services (archives and urban planning) and a retirement home occupied the adjoining structures. Tombstones, reminding us that a part of the garden was once used as a cemetery. A few metres from the quays of the Odet, the theatre garden gathers a very diverse selection of species, some quite rare. Composed in a style reminiscent of English romanticism, it is equipped with a pond and wetland plants. A short stone stairway brings one to grass pathways bordering a lovely rose garden. There one finds several beautiful and ancient specimens of trees. It is one of the oldest gardens in Quimper (1904). With the creation of the Max Jacob Centre in 2015, the theatre garden has grown in stature. From the quayside walkers are greeted by a view of the Max Jacob Theatre, now joined by the Novomax, the new building dedicated to music and cultural practices. Its glass frontage and chestnut wood siding are in harmony with the atmosphere of the place. In the rue Aristide Briand, the garden boasts an additional area which is divided between an educational space and planters. A ginkgo biloba, a Virginia tulip tree, a giant sequoia, many varieties of rose, magnolias, lime trees. Access via the boulevard Dupleix. Inaugurated in 2013, the Quimper pollen counting station is situated in the Hippodrome area. The facility was designed by the Association of French Pollen Counting Stations (APSF) to launch early and targeted pollen warnings for allergy sufferers. It is the fourth centre of its kind in France. The prediction of pollen spikes is of interest of public health because it allows the allergists networks to inform their patients. Currently pollen season warnings rely solely on information generated from airborne sensors. 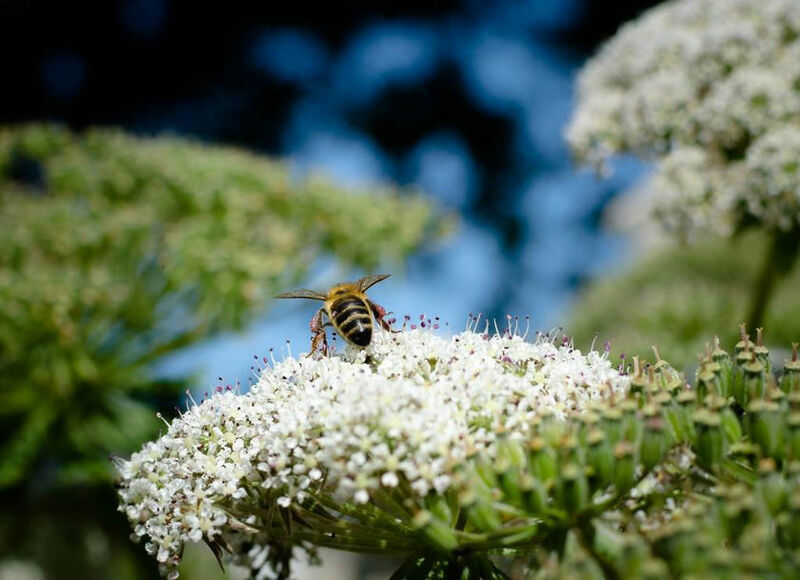 In a pollen counting station pollen emissions are observed directly on the offending species and under conditions representative to the area. Information gathered this way is about three weeks ahead of that generated by sensors. 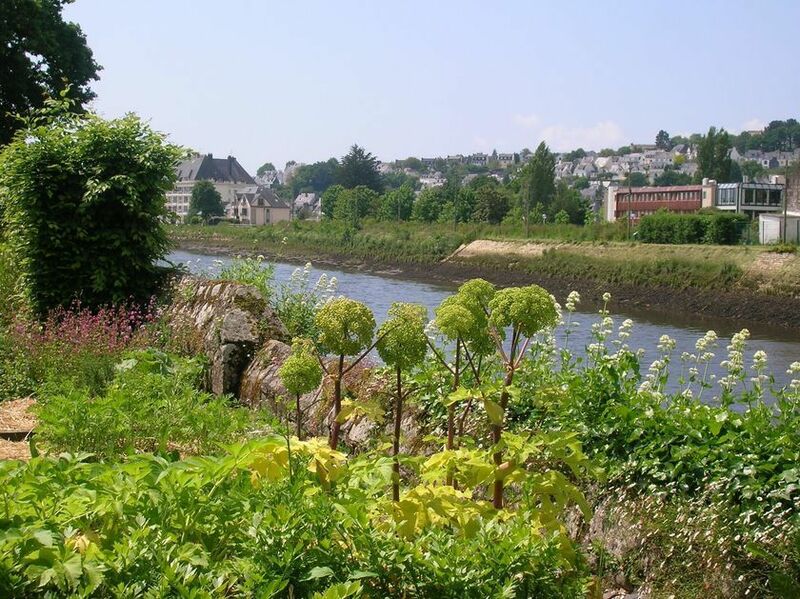 As a result, the installation of a pollen counting station in Quimper represents a marked improvement in the daily lives of sufferers within a radius of 40 kilometres. 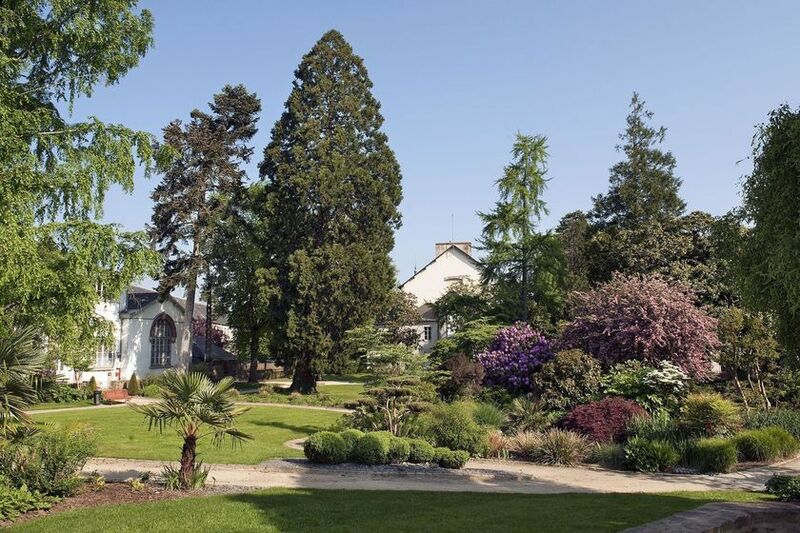 This original idea came at the outset of the APSF, from the former Director of the Jardin des plantes in Nantes, Claude Figureau, who also approved the choice of location for the Quimper pollen counting station. The design and implementation of the facility, by the Department of Green Spaces, has also received the approval of the APSF. Field observations are made by volunteer gardeners and are then transmitted to the allergists. Surface area: 1 216 m2 – Children’s playground. The construction of the new town hall annex of Kerfeunteun was accompanied by landscaping of the site, carried out by the green space service. There are beautiful trees (pines and cypresses) and two rows of lime trees have been planted and trimmed in a curtain formation. A secure path enables one to enjoy the tranquillity of the place. The largest garden square in Quimper with a surface area of 5,200m2 and a children’s playground. Although not quite a green space in its own right, the outskirts of the Providence parking lot offers a burst of greenery in the heart of town. A variety of plant species adorn the walkways, which are safe for pedestrians and bicycles. It is possible to walk through to the Moulin Vert and there is a playground for children.